We can supply your web design needs for your Port Angeles company, as well as provide website hosting and web site management. HawkFeather Web Design will walk you through from the first design concept through to release, and even beyond with analytics and search engine optimization. We also do Joomla and WordPress designs, and provide search engine advertising, social and email marketing campaigns to promote your Port Angeles brand. 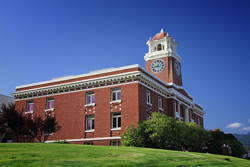 With over 18 years of experience, we are your Port Angeles web designer.